One Bedroom air-conditioned apartment, totally self-contained with forward facing balcony to your lake and ocean and rear views into rainforest. Queen bed and solitary sleep in lounge room. The views through the ocean side of the flats are spectacular. All apartments include a large flat display screen television and DVD. Totally free WiFi. Courtyard Apartment, air-conditioned, lovely one room self-contained apartment, front facing balcony with views on lake and sea and back views into rainforest; private separate entry with encased courtyard and barbeque powering the building. First-floor. Pet Friendly. Queen bed and solitary bed in bed room with ensuite. Totally free WiFi. Two Bedroom waterfront device, air-conditioned, fully self-contained. Front facing balcony toward sea and lake with 180 degree views. Queen bed, 2 x singles, divans as needed. All linen, towels and tea towels provided. Big level screen tv and DVD, free WiFi. Superior waterfront two bed room apartment, air-conditioned, completely self-contained, queen bed, 3 singles or 1 master and 1 single, totally renovated, front facing balcony with 180 degree views towards the river and sea, first floor. Large level screen tv with DVD within the lounge room, smaller flat TV/DVD combo in master bedroom. Dishwasher, no-cost WiFi. Riverside destination is a contemporary two-story residence where the ground-floor has-been converted to a self-contained waterfront apartment with 180 level views to your lake and ocean. 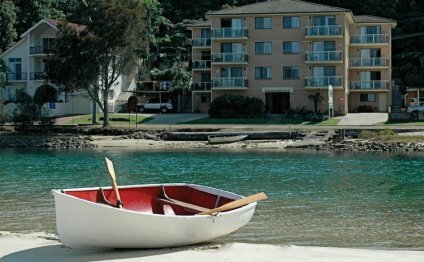 Its situated immediately next to Marcel Towers and has exactly the same gown circle place from the Nambucca lake right opposite a small sandy swimming and fishing beach. Riverside Place has flat screen LCD TV, DVD, Austar, wireless internet access, dishwasher, internal lock up garage and is air-conditioned. Riverside spot has your dog friendly front-porch and an escape-proof location in the rear.